At 1,800 meters above sea level, the lakes of the Upper Engadine offer some of the best wind conditions for sailing. The Maloja winds are strong and regularly blow at 3 to 6 Beaufort. These winds arrive in the morning and last until sunset. 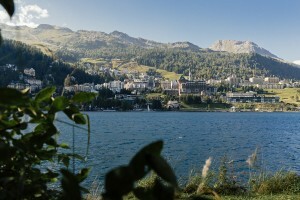 Lake St. Moritz, which is in summer also a water sports arena, offers a beautiful panorama, complete with the St. Moritz Skyline and surrounding mountains. And not only that: due to the warm light in the St. Moritz valley you might almost think you’re sailing on a southern sea. Lake St. Moritz holds regattas with up to 30 boats. Since the founding of the St. Moritz Sailing Club, the lake has been an ideal sailing location for different dinghy classes. Now, also sailors of modern gliding dinghies have discovered Lake St. Moritz as an ideal sailing area for their technically demanding competitions. With its quick turns, the only 1,600-kilometer-long and 600-meter-wide Lake St. Moritz requires from sailors tactical and technical skills as well as physical fitness. It’s a great advantage that the entire course can be viewed from the shore, allowing spectators to see every turn from each team. Lake St. Moritz has been a sailing destination since the 1930s. It was at that time that the Zürich Yacht Club chose Lake St. Moritz as a replacement lake for its regattas. Since then, high-profile regattas have been held every year on Lake St. Moritz. One such race was the St. Moritz Match Race, which was held for many years. At this race, teams that had also sailed in the America’s Cup dueled in front of an impressive crowd of spectators. At the start were teams with famous names such as Murray Jones, Alinghi, Marc Mendelblatt, Oneworld, Jesper Bank, Victory Challenge, Francesco Bruni and Prada. If you want to perfect your sailing skills, you have come to the right place at the St. Moritz Sailing Club’s sailing school. The clubhouse of the St. Moritz Sailing Club has a restaurant, facilities for sailors, and a wharf. Boats such as Lasers, Laser 16s and Catamarans are available to be rented. On the shore, there are two ramps for easy lake access. There are also places for 60 small boats and a dock with space for 20 larger boats. And on the rare occasion that the wind goes away, you can rent stand-up-paddleboards, rowboats and e-bikes.